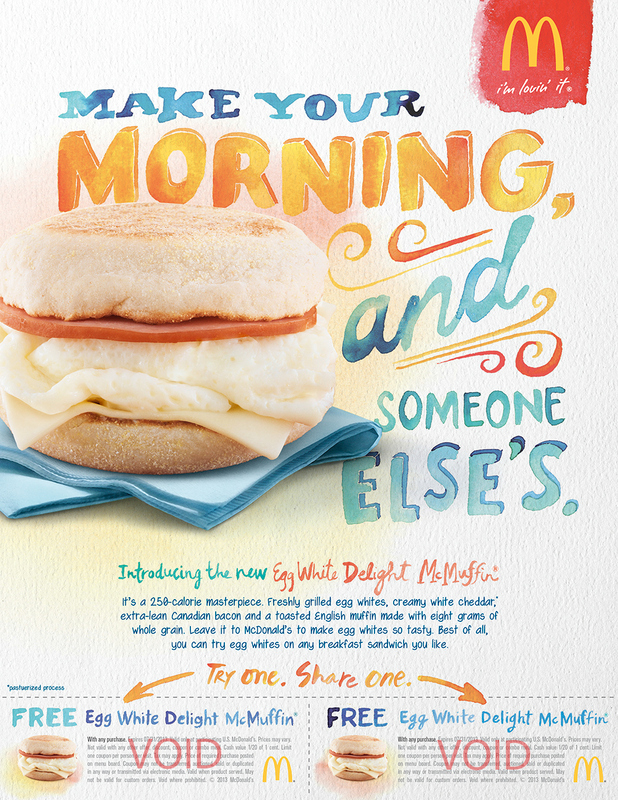 I had the opportunity to work with the Moroch Agency on an ad for McDonald's new breakfast sandwich, the Egg White Delight. 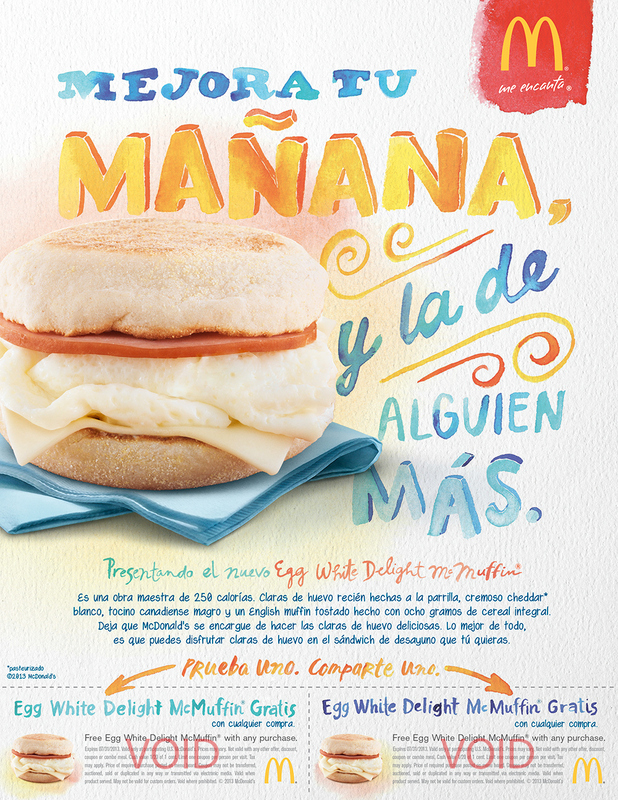 All of the type was handpainted using watercolor. 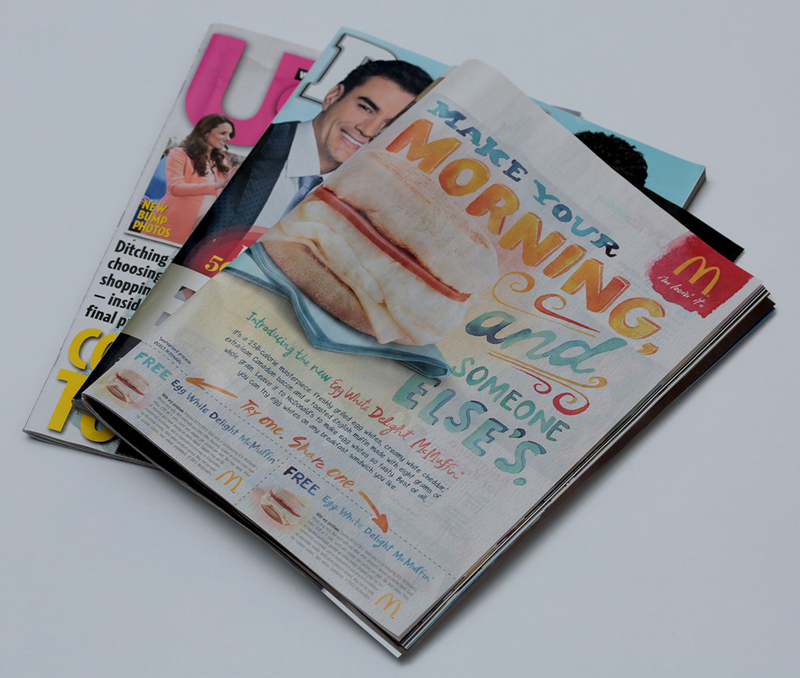 There were two versions of the ad, one in English and one in Spanish that appeared in national publications all over the United States, including: US Weekly, People Magazine, Real Simple, and Entertainment Weekly.